Julie Holbein joined Big Lots in July of 2018 as the Director of Talent Development and is based in Columbus, OH. In this role, she and her team are responsible for the overall talent development strategy of the company’s 34,000+ associates. This includes building functional, technical, and leadership capabilities, driving the performance and talent management processes, organizational development, and culture initiatives. 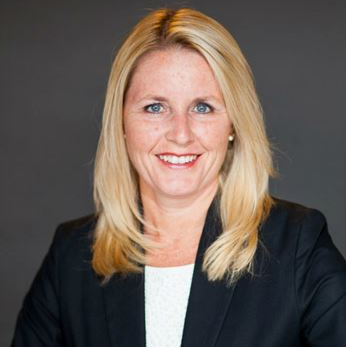 Before joining Big Lots, Julie was the VP of Global Talent and Leadership Development for AECOM, a Los Angeles-based global engineering and construction management organization with over 70,000 employees in 150+ countries. She and her team were responsible for leadership development, performance management, and succession planning. Prior to AECOM, she spent 10 years at Cardinal Health based in the Columbus, OH area. There she held several roles including Director of Global Talent Management and Director, HR Business Partner. In addition to her 20+ years of work experience, Julie holds a Master’s Degree in Organizational Development from Capella University and a Bachelor’s of Science in Organizational Communication from Ohio University. She also has her Professional in Human Resources certification from the Society of Human Resources Management [SHRM] and is a DDI certified Master Trainer. Outside of work, Julie serves as Past Board Chair on the Girl Scouts of Ohio’s Heartland Board of Directors and was the former President of the Human Resources Association of Central Ohio.